(CNS): The premier has said that government is hoping that the new cruise-berthing facility will be open in October of 2012 in time for when Cayman hosts that year’s Florida Caribbean Cruise Association conference. McKeeva Bush revealed the proposed completion date (weather permitting) at the official signing of the MOU between government, the Port Authority and DECCO on Thursday morning. The MOU which was released to the media will pave the way for official negotiations to begin on the $150million project between the Port Authority, DECCO- which will be the project manager if the deal goes ahead – and the all important cruise lines. Government also confirmed that with the signing of the MOU initiative DECCO will be completing the environmental impact assessment and entering into discussions with the Department ofthe Environment. At present Dart Enterprise Construction Company (DECCO) is proposing to build, design and finance the cruise berthing facility if an agreement can be reached between all the various parties. MLA Cline Glidden who has been the premier’s direct representative throughout the negotiating process, said that there are no guarantees however that DECCO would necessarily be the general contractor or that it would be entitled to take the retail space once the project was done. He explained that the ‘agreement to agree’ is that DECCO will be able to compete with all other possible bids to be the general contractor, supply financing or lease the retail property but they would if negotiations were successful be the project manager. Before the document was signed the premier said that Cabinet had approved the Memorandum of Understanding on Tuesday. He stated that with no money available to begin, what he said was this essential project, the decision had been made to enter into a private/public partnership. He said DECCO was selected for a number of reasons including their proposed financing arrangements, project time-lines, ability to start relatively quickly and the fact that DECCO is a local business of high standing in the Cayman Islands, with a proven track record. “The United Democratic Party government is committed to using this type of joint Public / Private sector model to fund capital projects which will greatly benefit this Country. Given the economic conditions globally and our current dire financial situation, we are faced with the stark reality that we are simply unable to raise the required financing for this critical project,’ he said. He said the need for cruise berthing facilities as part of the overall development of the Cayman Islands tourism infrastructure has been understood by all governments for some seven years now but his administration was committed to completing the much needed enhancements to the port. Bush warned that all other major cruise destinations in the region already had walk on facilities and Cayman had to develop its own piers. “The longer we delay in addressing this issue, not only will we remain at a competitive disadvantage, but we will also stand to weaken the second pillar of our economy, which has supported us for decades,’ he added. Following theofficial signing Glidden explained the contents of the MOU and said after intense negotiations it was more detailed than anticipated and the goal had been to address the areas likely to cause the most public concern. Glidden said the government had every confidence that DECCO would deliver but the MOU states that it will be subjected to competitive bidding and will only be selected if it offers the best value for money. He said in the MOU DECCO had asked to be treated equally. He also reassured the public that the Port Authority will retain control of all the space to be leased which will be dealt with on the same open and competitive basis. The goal was to negotiate with the cruise lines to pay back DECCO if it was to beome the developer as anticipated for its investment through fees which would replace those currently paid for tendering and the PA’s current revenue streams would not be impacted. Glidden said that the closer these fees could be to the $4.50 that the ships currently pay to tender passengers the easier the negotiations with the cruise lines would be. The West Bay MLA explained that in some jurisdictions the cruise lines had made the direct investment for the development of berthing facilities and therefore took control of the facility. The method adopted by the Cayman Islands Government with its own private partnership agreement would ensure the country kept control of the development..
Glidden said that throughout the project Caymanians would be given priority to work and benefit from the development. (CNS): Full story update 3:30 – The current auditor general, Dan Duguay, has been passed over for his own job in favour of an unnamed overseas candidate. Following the announcement by the Governor’s Office this morning, Duguay, who has been a persistent advocate of openness and transparency in government, said he was very disappointed but had to respect the decision made by the governor. Having been interviewed for his own position, which he has held for six years, Duguay had hoped to secure a third term in the post and continue his work scrutinizing how public money is managed and spent. However, the interview panel of the governor, a pastor and a local senior accountant selected one of the three other candidates short listed, who is not a Caymanian. Duguay acknowledged that his openness and willingness to engage with the media over the work of his office and the content of his reports played some part in him being passed over for another candidate but he said he had no regrets. “I don’t regret my dealing with the local media as I have always believed that if I am asked a question by a member of the press about public money I should answer it,” he said, adding that it was very important that whoever was in the post should not be intimidated into silence about the work being undertaken by the office or to be less thorough in the investigations. Duguay was recently targeted by the premier, who had referred to him as a “cowboy” and accused him of holding up the port initiative when Duguay had pointed out that he would be scrutinizing the process by which the proposed public/private partnership for that development was concluded. Soon after the very public spat between the AG and McKeeva Bush, Duguay learned he would have to interview for his own position as his contract had expired. According to the Governor’s Office, an open recruitment exercise was carried out for the position. In a statement this morning revealing that Duguay had not been offered his post, the office said the position was advertised in the United Kingdom, Australia, New Zealand, the Caribbean and locally, on internet web sites and in newspapers. Duguay was one of the 58 applications received from 23 different countries, including two Caymanians. Following an initial short-listing process, the governor reportedly reviewed the eight strongest applications and résumés, as well as those of the two Caymanian applicants, and selected a final list of four candidates to be interviewed. This included the incumbent Duguay. Along with the governor as chair, Dan Scott, Regional Managing Partner of Ernst and Young, and Pastor Winston Rose, sat on the panel conducting the interview, which took place on 9 April. The Governor’s Office said each candidate was invited to make a 10-15 minute presentation to the panel on the challenges the public service worldwide is likely to face over the next 10 years and how a national audit office might adapt to these challenges. “In addition, the panel asked a range of questions covering leadership, performance management, human resources, financial management, auditing and the role of an auditor general. The same questions were asked of all candidates, with each interview lasting approximately one hour,” the office said. Duguay said he was also asked about his relationship with the media and added that every governor he has served under since he came to office had questioned his relationship with the press and asked him to tone it down. Duguay confirmed that he believed that being open and honest with the media was important as they are the ones that inform the public about the findings of his office and help in the process of scrutiny. The governor’s release did not state why they had rejected Duguay but said the decision of the panel was unanimous in its view on the candidate who was selected. The governor has offered the position to this candidate,who is from outside the jurisdiction and who has reportedly accepted. The candidate’s name will be released, the office said, when contractual formalities are finalised, which could be during the course of next week. The new auditor general will take up the position in July, and Deputy Auditor General Garnet Harrison will act as auditor general during the gap between Duguay’s departure and the new auditor general’s arrival. “The governor is grateful to Mr Duguay for all his hard work over the last six years and wishes him well for the future,” the officesaid. Although governors and politicians on both sides of the House have criticised him, Duguay has received considerable public support for his position on the need for transparency. In a recent CNS poll almost three-quarters of the 985 voters said Duguay was doing an outstanding job and another 20% said he was doing as a good a job as expected. Only 6% of people who participated in the poll thought the current incumbent was not doing a good job. (St Petersburg Times): A day that began in celebration ended tragically for a St. Petersburg man who was fatally shot Wednesday during a home invasion robbery in Palmetto Beach. William Richard Wood, who turned 50 Tuesday, died atTampa General Hospital Wednesday evening, Tampa police said. Wood’s estranged wife said he had spent Tuesday night partying at the Seminole Hard Rock Hotel and Casino but came home after losing a couple hundred dollars. "Being from the Cayman Islands, he wasn’t street smart," Sandy Wood said. "But he had a big heart." The release says that the email which includes photos of material floating in the North Sound has alleged that the floating material is sewage that has leaked from the Water Authority’s sewage plant on Seymour Drive, east of the George Town landfill. The email, circulated by Kerry Horek (who also distributed in April last year photos of Mount Trashmore taken from a cruise ship) requested local government representatives to investigate the problem before it created a health hazard. 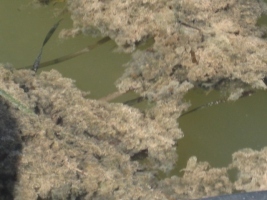 In a joint response the Water Authority and the Department of the Environment, which share responsibility for protection of marine water quality, have advised that what is being observed is not raw sewage but floating mats of algae (marine plants) which collect in embayments on the western side of North Sound. “The suggestion in the email that the floating matter in the Sound is sewage seeping from the Water Authority’s treatment plant is incorrect. As the system disposes highly treated effluent deep below the ground, there is no direct link between the floating matter and the treatment plant” said Dr Gelia Frederick- van Genderen, Director of the Water Authority Cayman. The treatment plant produces a high quality effluent that is disposed in deep wells, the casings of these wells are grouted from ground level to 150 feet below the ground and effluent is discharged in the open zone of the wells, which is from 150 to 225 ft below ground level. Overall, the results of this monitoring programme indicate that water quality in areas of North Sound not directly adjacent to land is still excellent, says the release. However, water quality in areas closer to land, especially in the western part of the Sound, show elevated levels of bacteria, nutrients (phosphates and nitrates) and chlorophyll-a. Areas where canals drain into the Sound are the most affected. It should be noted however, that even in the worst affected areas, the levels of bacteria, which are indicative of wastewater pollution, seldom exceed the international standards for bathing water. Director of the Department of Environment, Gina Ebanks-Petrie, explained that generally in tropical marine waters where there are elevated levels of nutrients, leafy and fleshy algae normally present at low levels in the marine environment proliferate. In addition, concentrations of phytoplankton (microscopic plants) present in the water column also greatly increase, turning the water green and cloudy. When these conditions occur in North Sound they produce an imbalance in the natural systems and result in impacts that can include low oxygen levels at night and reduced sunlight for critical species such as turtle grass. Both the Water Authority and the DoE agree that the water quality problems currently being observed in North Sound relate to the ways in which the Island has grown and developed over the last 50 years, and that it is not possible at this stage to attribute the input of pollutants to North Sound to a single source. There are several possible contributing factors which include leachate from the unlined George Town landfill, our current methods for on-site wastewater treatment and disposal, poorly planned canal developments, fertiliser-enriched run-off from golf courses and other landscaping, and inputs from recreational use of the marine environment. 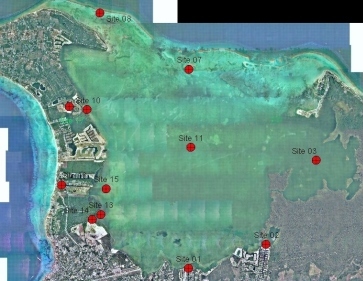 In addition, the large-scale removal of mangrove wetlands and seagrass systems on the western side of North Sound to accommodate development has reduced the natural capacity of the local environment to mitigate the effects of nutrient and pollutant inputs. Each of these issues has a direct or indirect impact on water quality in North Sound. While acknowledging that it is not possible to turn back the clock, both the Water Authority and Department of Environment believe that solving this problem (and preventing similar problems in other locations) will require a concerted and collaborative effort by several government agencies and Authorities, as well as the public. Changes and improvements need to be made in the ways in which we plan future development and manage existing development, and in the systems we employ to manage the generation, collection and treatment of our collective waste. The Water Authority and the Department ofthe Environment have reiterated their commitment to working towards solutions for these issues in conjunction with the policies of the Government. They believe that their joint North Sound monitoring programme has and will continue to provide valuable data to inform decisions. The Water Authority, both as a wastewater utility and through its role as a regulator of wastewater treatment and disposal continues to work on appropriate solutions. The Department of the Environment, as principal advisor to Government on environmental issues continues to advocate for sound policies that protect the fragile environment of the Cayman Islands. (The Royal Gazette): Firearms specialists from overseas will soon be patrolling the streets of Bermuda with local Police. Minister of Home Affairs David Burch and Commissioner of Police Michael DeSilva yesterday unveiled six measures to help combat the rising gun crime the total cost will be $1 million. 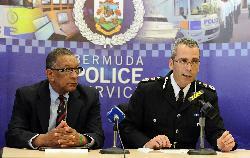 The measures include bringing more than a dozen UK officers trained in firearms to the Island. They also include hiring 14 temporary operational support staff for analysis and case review work. The US Federal Bureau of Investigation is to offer further training and Bermuda will have access to its information sharing computer system. In 1766 during tense relations between the Thirteen Colonies of the Americas and the Kingdom of Great Britain, history records that the British Parliament ratified a sinful Act, an Act called the Declaratory Act, which asserted that the British Parliament had absolute power to make laws and changes for the Thirteen Colonists of the Americas, "in all cases whatsoever" even though they were unrepresented in the Kingdom of Great Britain’s Parliament. As a result of what followed the Act, the imposition of taxes without representation and their tyranny on the colonists, the American Revolutionary War was inevitable in 1775. This document was cleverly designed and put together to reject the democratic representation of the Caymanian people and their future generation when it states in Part II, Section 33, pertaining to the Foreign and Commonwealth Office that “the Governor may act against the advice given to him or her by the Cabinet— if he or she is instructed to do so by Her Majesty through a Secretary of State; or if, in his or her judgment, such advice would adversely affect any of the special responsibilities of the Governor set out in section 55.” Note here that the Cabinet is elected by the Caymanian People. Then in Part IX of the said Constitution, Section 125, it nullifies and cancels out all elected powers for and by the Cayman Island’s people, making the entire Constitution itself null and immaterial to UK interest. It nicely states in one sentence, “There is reserved to Her Majesty full power to make laws for the peace, order and good government of the Cayman Islands.” May I say that the major percentage of Caymanians that voted for this Constitution in 2009, did not and COULD NOT have realized the grave implications of how much economic authority they had retained to the Crown or for Her Majesty’s interest. If they had known what representation is, I am sure many of them would have thought twice before approving the national document. The Cayman Islands Constitution 2009 gave more rope to the Governor and the Foreign and Commonwealth Office to bind usat will from ever having our voices heard in the chambers of their Parliament. And for sure the interest of the United Kingdom over the democratic representation of the people will be difficult to override by the United Nations when a percentage of our own constituency have voted “yea” in its favor. It reminds me of the same spirit, that dark spirit of tyranny behind the Declaratory Act of 1766 – that an entity, such as the FCO and her Governors, can "in all cases whatsoever" even though the people are not represented, impose taxation, make laws and statutes of sufficient force for their perspective of what is “for the peace, order and good government of the Cayman Islands” – as if the people living here don’t know better or exist. We see the lamb speak but act like a dragon; we see the Chagos Islanders, who they evicted from their homes for a U.S. military base still without compensation, and we see the Turks & Cacaos, under the guise of corruption undermined although there was corruption there like anywhere else – still the people of Turks & Caicos are taken for naught by the Foreign and Commonwealth Office! In 1967 a number of British colonies in the Caribbean chose to change their statuses to states in free association with the United Kingdom. The name for these colonies was called the West Indies Associated States. They included Saint Christopher-Nevis-Anguilla, Dominica, Grenada, Saint Lucia, Saint Vincent, and Antigua. Their statuses were sanctioned by the Associated Statehood Act 1967. The condition of the Act entailed that each state had full control over its own constitution and self-governance, the United Kingdom retained responsibility for only external affairs and military protection. The British monarch remained head of state, and the Governor of the islands was a local citizen under the said constitutional powers. After several years, the West Indies Associated States eventaully dissolved with Anguilla reverting back to a British Overseas Territory (BOT) like the Cayman Islands. Nevertheless, couldn’t we have chosen a much better state for our self-determination than fall under the dangerous provisions imbedded in a document??? (CNS): The baby dolphin, which was the first bottlenose dolphin born in captivity in the Cayman Islands, has reportedly died. CNS has not yet been able to confirm the details but the young marine mammal was reportedly found dead by her handlers at Dolphin Discovery in West Bay. The dolphin was born less than nine months old and it is said to be the first dolphin to die at the facility since it opened. 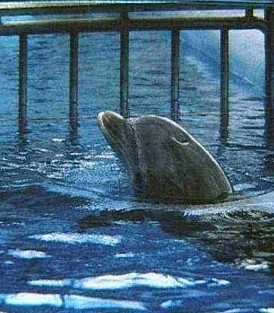 The islands two dolphinariums have been the subject of considerablecontroversy as a result of the changing attitudes towards the acceptability of such facilities, with many people considering it cruel and unnecessary. There are also continued questions surrounding the trade in live dolphins and how they are actually captured, despite the alleged awarding of CITES certificates. Check back with CNS later for more details on the circumstances of the dolphin’s death. (BBC): All flights in and out of the UK have been suspended as ash from a volcanic eruption in Iceland moves south. Safety body Eurocontrol said up to 4,000 flights across northern Europe would be cancelled on Thursday. The air traffic control service (Nats) said no flights would be allowed in or out of UK airspace until 1800BST amid fears of engine damage. The airspace restriction was the most significant in living memory, a spokesman said. Nats suggested that the restrictions were unlikely to be lifted after 1800, saying it was "very unlikely that the situation over England will improve in the foreseeable future". (CNS): Over six months after government’s announcement that it was planning to sign an MOU with Dart regarding the development of cruise berthing facilities the Premier will be announcing the details of the agreement today. (Thursday 15 April). The Memorandum of Understanding (MOU) which will pave the way for DECCO to partner with the Port Authority to build two finger piers in George Town Harbour as well as the land terminal has now been approved by Cabinet. In November last year the government approved DECCO as the potential development partner to finance as well as build the facility since then the port and DECCO have been in negotiations with the cruise lines on how it will recoup its investment. McKeeva Bush is expected to reveal the outline of what is a non–binding memorandum of understanding with DECCO and the Florida–Caribbean Cruise Association this morning at a government press briefing. 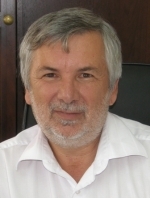 During the six month period there was speculation that DECCO was pulling out of the project but in February Stefan Baraud, told CNS that while not everything had been resolved at that point with regards what he described as the many moving parts to the negotiations, he said the goal was to sign the MOU before the end of the first quarter of 2010 with a view to breaking ground before the end of the year. The project will be a private finance initiative and it is not expected to require any capital investment from government but there are big hopes it will provide a welcome boost to tourism sector and the economy in general. There are however, still some concerns regarding the environmental impact and while government officials have said a study is being undertaken to ensure the protection of Seven Mile Beach some are concerned that the effect of the development on George Town and the surrounding area has not been properly considered. 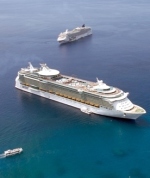 If the project does go ahead it will be the Cayman Islands’ largest ever public-private partnership infrastructure development which will provide berthing for four ships including the new generation of mega cruise ships along with an upland retail development at the new terminal. With no money in government coffers once elected to office the UDP administration committed to building the facility with a private partner who will finance the project and aim to recoup that major investment through a combination of cruise passenger fees negotiated with the cruise lines and the terminal’s retail facilities. Check back to CNS later today for full details of the MOU. (CNS): Police have confirmed that a West Bay man has been charged with attempted murder as a result of an attack on a woman with a car jack. Garry Hurlstone who is 28 years old from West Bay was formally charged with threatening violence, assault ABH and attempted murder last week when he appeared in court and was subsequently remanded in custody. An RCIPS spokesperson said that the charges,brought on 9 April, relate to an incident which occurred earlier this month during which a woman was violently assaulted. On 3 April Hurlstone allegedly assaulted the woman at an address in Capt Joe and Osberts Road in the district West Bay with a car jack. The woman sustained leg injuries as a result of the assault and required hospital treatment. The 28 year old Caymanian man is expected to reappear in court later this month.